Timberlane Estates Pool Home! This 3+loft/3/2 home sitting on just over an acre of land is great for entertaining. The pool area and lanai gives plenty of room for your family and friends to barbeque, relax and enjoy the outdoors with the property backing up to woods for privacy. The spacious master suite has sliding glass doors to the lanai, jetted tub and walk-in shower. There's plenty of storage with the 3 bedrooms having walk-in closets. 2 guest rooms upstairs share a jack and jill bath for extra convenience. 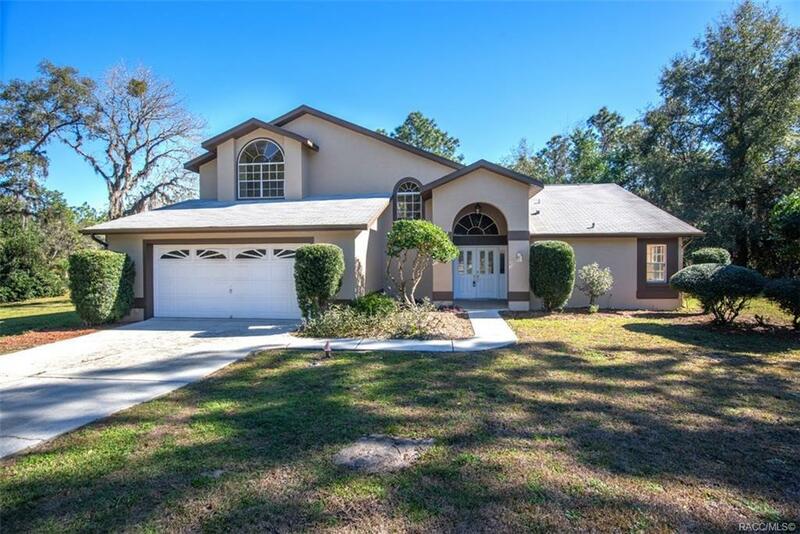 This spacious home has two rooms to gather with family and friends and two areas for eating. Great kitchen with an abundance of cabinetry and counter space including an island and built-in desk. Updates include new interior and exterior paint, resurfaced pool, pool equipment, new vanities and more. You don't want to miss this one. To check out our 3D tour copy and paste our link into your browser https://my.matterport.com/show/?m=5EQjP2pPS82&mls=1. Directions: From Cr 486 W Norvell Bryant, Turn South Onto N Prospect Avenue. The Home Is Directly Across From W Middle Lane.